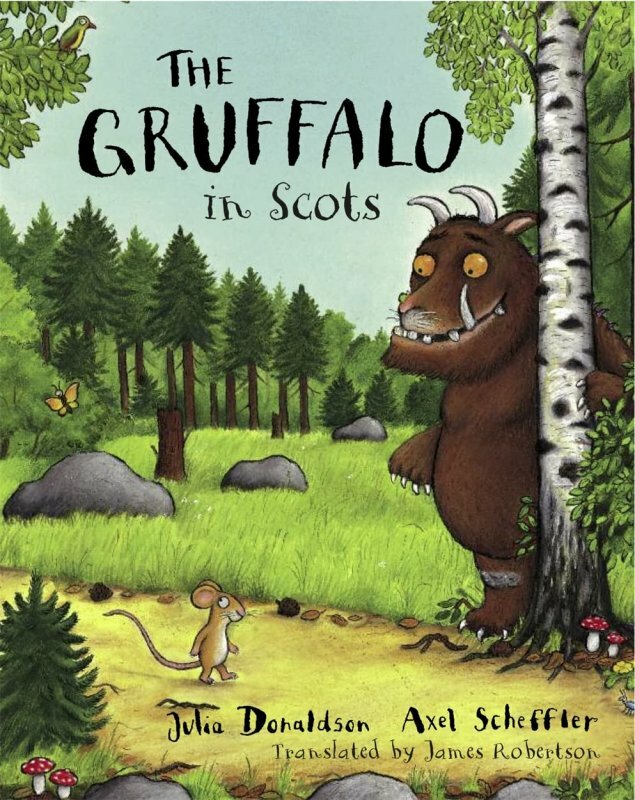 The Gruffalo' now available for the first time in Scots. Everybody loves 'The Gruffalo' and now you can enjoy this children's classic for the very first time in Scots. 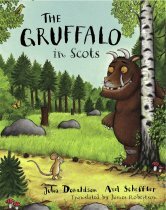 Translated by James Robertson and published by Itchy Coo, this new edition of 'The Gruffalo' has been approved by Julia Donaldson and will delight both children and adults alike. 'A moose took a dauner through the deep, mirk widd. A tod saw the moose and the moose looked guid.' Come a wee bit further intae the deep, mirk widd, and find oot whit happens when the sleekit moose comes face tae face wi a hoolet, a snake and a hungry gruffalo.